By mixing the know-how of a brand which can claim more than a century of experience in the manufacture of machine tools with recent advances in technology, AMB PICOT provides its customers with roll bending and forming resources specifically suited to their needs. Reliability, Quality, Ease of Use and, most of all, profitability of production resources. Thanks to their versatility, roll bending and prebending machines are used around the world in many sectors such as industry, transport, public works, aerospace, energy and construction. Depending on their equipment, such machines are just as well suited to single-item production as they are to short or long production runs. 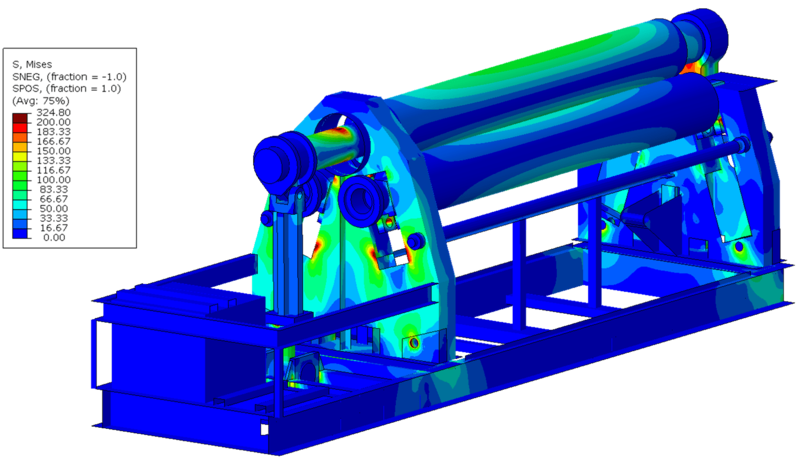 Picot is developing new products and constantly improving its range with the help of 3D design software and finite element analysis From mechanical structure to Numerical Control, everything is designed by our research department in Lentilly (France). > Each roll is driven by a hydraulically controlled geared motor and controlled by DANFOSS® proportional valves, ensuring variable speed and synchronisation. > Guideway-mounted rolls with direct cylinder positioning for maximum efficiency. > Hydraulic or electronic synchronisation of roll alignment (Picot patented). It also allows inclination of the rolls in both directions (cone rolling, truing) at will. > CN technology developed by Picot. 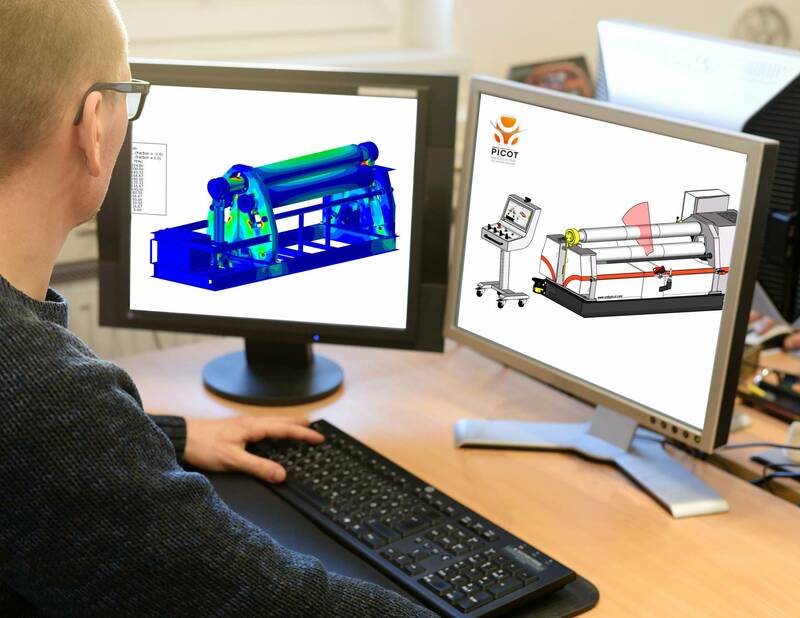 Machines may also be fitted with the options needed to meet customers’ needs: Deep hardened rolls, hydraulic opening head, end stop and roll control for cone rolling, special control consoles (from compact machine-end mounted hydraulic models to mobile Numerical Control consoles). 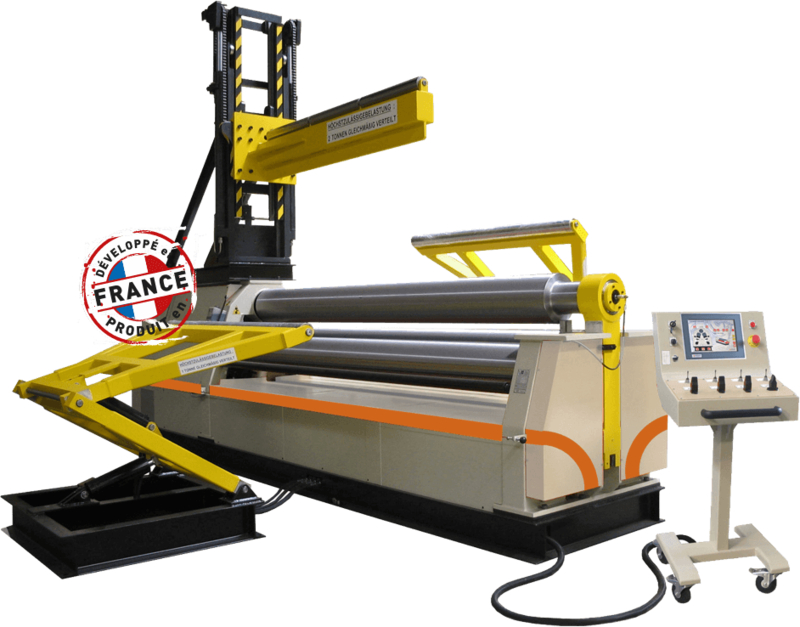 All Picot roll bending machines comply with European safety standards and bear the CE mark.